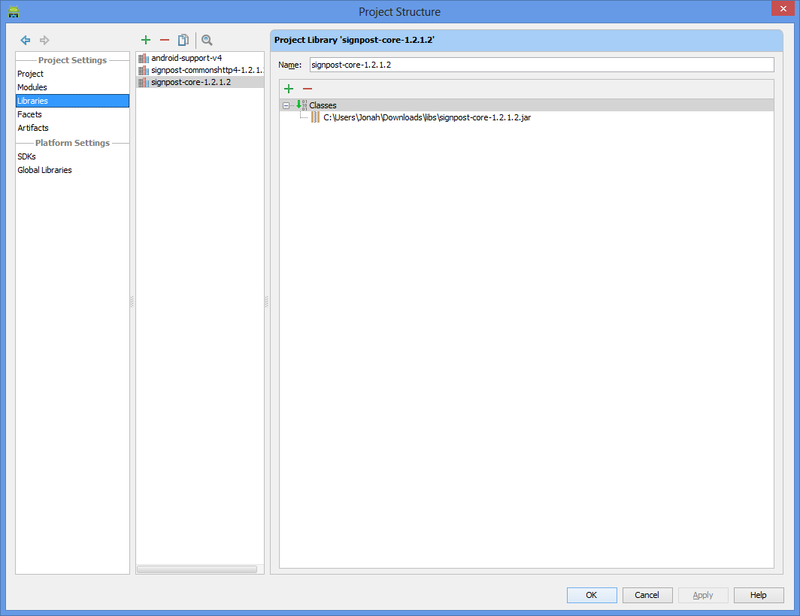 I've spent hours trying to get a library to work with my project in Android Studio, and I just can't figure it out. to my build.gradle. Without this, the app would not even compile. At this stage, when I try to reference one of the libraries in code, the app crashes with a NoClassDefFoundError exception. Something tells me this shouldn't be this hard - what am I overlooking? It all worked after i did a ./gradlew clean (I'm on a mac, so in your case, the equivalent.) You should do this command from the Terminal/Command prompt when you're located on the root of your project. Not the answer you're looking for? 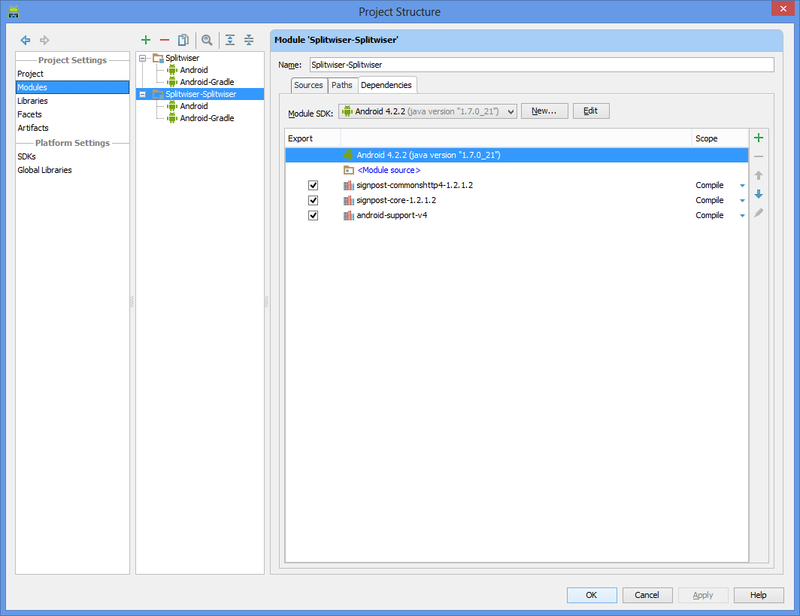 Browse other questions tagged android intellij-idea android-studio or ask your own question.